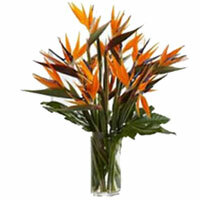 Buy and Send a birds of paradise bouquet to someone with same day delivery. 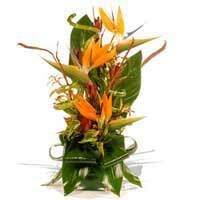 Send a striking tropical flower arrangement straight from paradise to their front door from Love N Wishes. 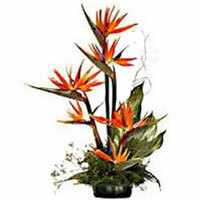 Please Note : The images of Bird of Paradise Arrangement Flowers are indicative. The options are for hand tied bouquet of BOP. 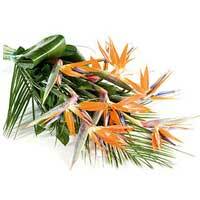 Bird of Paradise plants are a marvelous combination of a distinctive shape and brilliant colors in flower!! 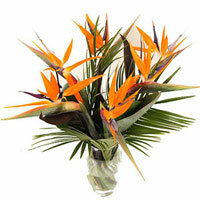 The Bird of Paradise flower is a spectacular blossom. 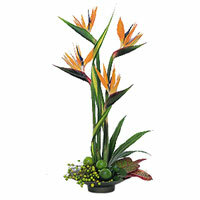 If you desire to use the blooms in floral decorations which needs a preserved flower the Bird of Paradise will fit into your plans. 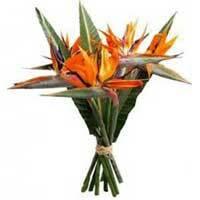 Place your order now to Send flowers to India with BOP Flowers to India. 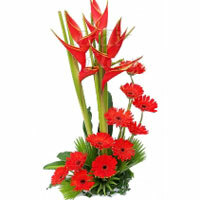 We deliver Flowers to India and all over India to Send Flowers to India, Mothers Day Flowers to India, Valentines Day Flowers to India, Send Valentine's Day Flowers to India, Valentine's Day Flowers to India, Mother's Day Flowers to India. 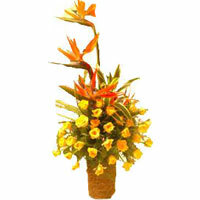 If you wish to cheer some one very special be Sending Flowers to India, you are at the right place. 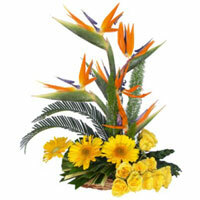 You can place an order to Send Flowers to India and we would deliver Flowers to India. 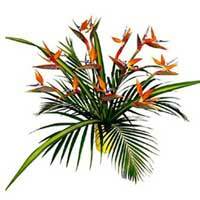 Bird Of Paradise Flowers are not very easily available in all the cities in India all the time. 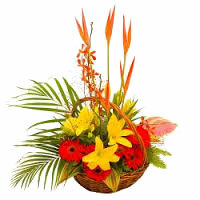 In case we are not able to deliver your order to Send Bird of Paradise Flowers to India, we would replace it with other available flowers in case we do not have mush time.